This takes place in England and the style of writing seems to reflect that in some of its writing style and a serious tone/ perspective on a family dealing with Alzheimer’s. Hanna returns home and has opposing ideas how to deal with her Mother’s decline. She prefers distraction and varied experiences vs. Dad who is very much into protective mode and daily routine. Each member chooses how they wish to deal with the reality of the disease, none of which change the decline of Biddy, the wife/mother. The toll of everyone ‘s health and mental well being becomes a heavy burden and responsibility. Lately, I’ve been reading several novels dealing with Alzheimer’s to help with my friend’s family who is dealing with this. It is devastating and affects everyone in the family differently. It has been researched and the insight to be gained by reading these novels is a learning experience for anyone, whether or not touched by Alzheimer’s. This book had an extremely relevant topic, which will touch many people who read the novel. I have very little first hand knowledge of Alzheimers but the difficulties and frustrations of dealing with a sufferer came across loud and clear in the storyline. Biddy’s family are divided about the kind of care that she should receive and each deals with her condition in very different ways. Some are hands-on, some challenge poor Walter, Biddy’s husband about the style of care he has opted for and some just stay away. It’s a very sad novel and probably a real reflection of what it’s like to watch a loved one slip away at the hands of such a disease. Of all the characters, I felt that Biddy herself was the most well drawn. I wanted to like Hanna but for that, she needed much more depth. There was an unrealism about the airline thread and I think much more could have been made of that, to stop it just being a book about the disease with more action played out on the journalist issue. It felt as though there were threads in the novel which weren’t grasped hold of, as though the characters wanted to have a mind of their own and were denied it. Without giving spoilers, there were possible relationships that could have been exploited to add another angle and a bit more interest. I felt like the epilogue was a bit of a slap in the face. It was a diary of events that told me more than I got throughout the whole novel. One thing I really struggled with was the lack of contractions in speech. It felt really wooden because real people don’t speak like that. It has the potential to be a great story, but needs a tidy up with stronger plot lines outside of what Biddy does each day and how Walter does or doesn’t cope with it. The research about Alzheimers is faultless. The reader is left in no doubt how cruel the disease is or the conflicts which rage for carers, not to mention the outside pressures and physical realities for them. 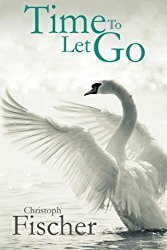 With a bit more umph, this novel can be something a carer picks up and finds light relief in, whilst understanding that the author knew exactly how they were feeling. A heart wrenching story! Let me wanting to know so much more! Very interesting account. Ludwika wasn’t a saint, she was a real human, and this was an intimate portrayal. Ludwika is based on a real person, with her story pieced together and re-imagined by the author. A commendable part of this book is the mission to find Ludwika’s lost relatives in Poland. War separates and destroys people. Veterans often search for former crewmates and soldiers, both living and dead. Refugees do the same. This novel is also commendable in the arena of ethics and morality. Examples of human cruelty and kindness can lead us to examine our own lives. We might wonder whether we would respond with one or the other in terrible circumstances. We might realize we can be hasty and uninformed in our judgments of those people who have faced such circumstances. Ludwika, the young Polish woman, makes an initial decision, which is a compromise, meant to save her family. There is no win-win possible for her as the Nazis begin their occupation of Poland and take over her town. She knows her decision to leave Poland with a German officer, to live in Germany, will be seen as betrayal, both of her country and her family, especially her young daughter. This initial decision sets a series of events in motion, sending her spiraling into the heart of the beast. Throughout it all, though, Ludwika focuses on the better aspects of the people she meets more than on the less palatable. How can this young German officer be so bad if he treats her with such gentleness and apparent love? He seems to be honest, so she trusts him. She believes he will keep his word and her family will be protected. Ludwika has the desires and passion of a young woman. She is at times selfish and foolish, other times caring and perceptive. She longs for a life partner and a family. Uprooted by war, she strives to belong, but the dangers of her life as an outsider in Nazi Germany fray her nerves, at times making her lose hope or act out of fear, or hope for the wrong thing. Time and again she renews her sense of purpose: to survive and protect her family. One day, she hopes to return to Poland and be reunited with her family, although she knows it may be impossible due to her own actions. Beyond that, she knows what life in a dictatorship, as a second-class or non-citizen, is like, and toward the end of the war, she is disheartened by the Soviet Union’s takeover of Poland. The writing style is uneven, and some of the characters inconsistent. I was distracted by the typographical errors as well (warm instead of warn, for instance). Parts of the story were well told, others less believable. I was surprised to learn that several major characters were entirely fictional. Ultimately, though, Ludwika’s story is worth reading. For me, the ending was most interesting. This was an interesting read. I enjoyed the personalization of what was going on during the war instead of just facts and figures. 5.0 out of 5 starsPowerful story that you want to know what happens next. Ludwika was left to run her families home & farm after her father never returned from his trip. Even though they were Polish, they still lived in fear as to what would happen if they didn’t get their crops in, as it was well into harvest and her and her sister didn’t know how they would get it done by hand. With rumors that Jewish families were being taken from their homes and the homes given to displaced German families, they still had to hope it wouldn’t come to where they lived. Yet, as their neighbor’s family seem to be gone, they knew they had used the tractor in the past, they took a chance. While trying to get the tractor to their field Ludwika was run off the road by a German officer……..and the beginning of many misfortunes for Ludwika begins, needing to leave her daughter and family to help secure their safety, began a life of uncertainty, heartache and grief, that only faith and hope could see her through of never knowing what happened at home, or what would happen to her next. Her story is sad, yet inspirational and pray that something like this never happens again. This story is well written and kept me turning the pages to see what happened next. Excellent read and looking forward to reading more from Mr. Fischer. The writing of this book is great as you feel as if you are there and great details. Historical books are my favorite. This entertaining read took me back to my youth. When I knew Malmö, Sweden and Copenhagen, Denmark well and had a big interest in Eurovision. That being said I think it is a good book for all readers, no need to be familiar with Eurovision or location. I like the main character Bebe Bollinger. it is refreshing to have a modern heroine who feels young and active at 60, looking for a future in entertainment. I liked the supporting cast and her interactions with all of them. The quest for the criminal as well as her desire to succeed and get attention as a singer and presenter were a nice mix and fun to read. Mr. Fischer’s books are always worthwhile and this one was a personal favorite. This is the second in the Bebe Bollinger series by Christoph Fischer. The is sleuth is once again the charming, talented and a bit snarky Bebe Bollinger, an early 60s chanteuse with a remarkable career behind her but fighting to be back in the spotlight. A small selection of other books by Christoph Fischer. I’m a big fan of N.A. Granger as my previous blog posts and reviews prove. 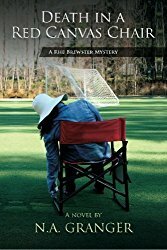 I’m delighted to share my review of the much anticipated new Rhe Brewster Mystery, Death in a Mudflat by N.A. Granger. “Murder by Mudflat” is a hugely enjoyable, fast-paced mystery with excellent attention to forensic and scientific detail. I can promise you this book will keep you at the edge of your seat. Funny and cozy scenes alternate with high-octane, breath-taking action sequences. Rhe is a wonderful character: a mother and vulnerable lover one minute and a thug-chasing and quick-witted heroine the next. Her romance with Sam and the way that Rhe’s son Jack responds to it is beautifully done and adds just the right counter-weight to the fist-punching and at times tough and explosive plot. While generally cozy in style, there are some not so cozy scenes as well. Grainger serves us some serious issues amongst some very light-hearted and entertaining sections: drug use, murder and some other, deeply personal issues, such as forgiveness and moving on. Her characters are very real with problems of their own and an ability to reflect that surpasses the often one-dimensional place-holders in the genre. 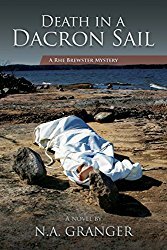 The combination of two separate investigations which may or may not be linked makes this a particularly rich and rewarding read, with plenty of possibilities for the plot and its denouement. This is a well written, breath-taking ride through two cases that show a crime writer at her best.